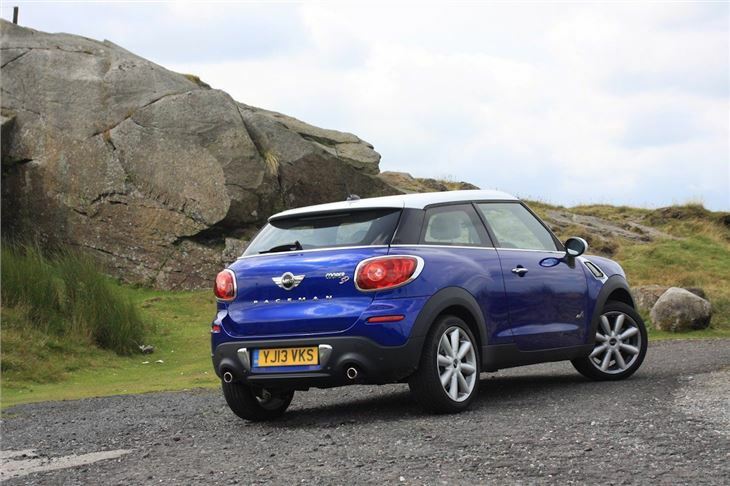 The MINI Paceman is an interesting addition to the hatchback ranks. 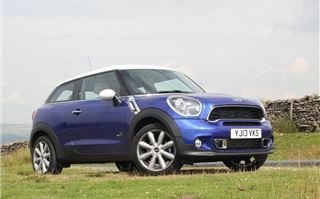 It's effectively a three-door version of the Countryman, with a sloping roofline. 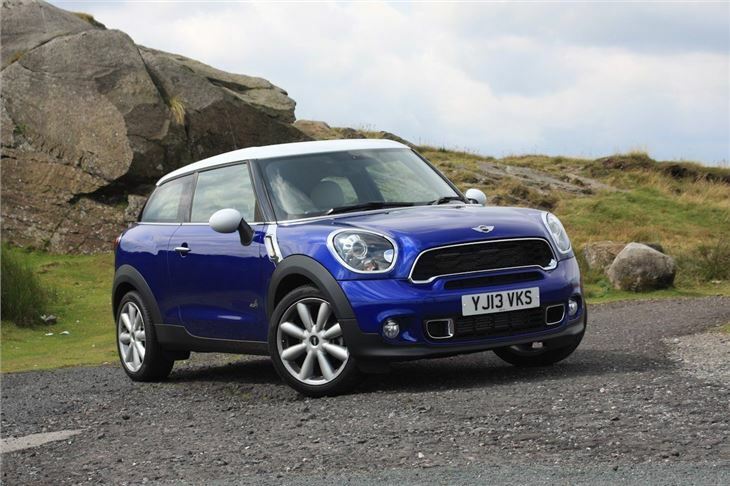 As you'd expect, boasts quirky styling, and an off-beat interior, and promises more of the same excellent dynamics that marks out the rest of the MINI range. 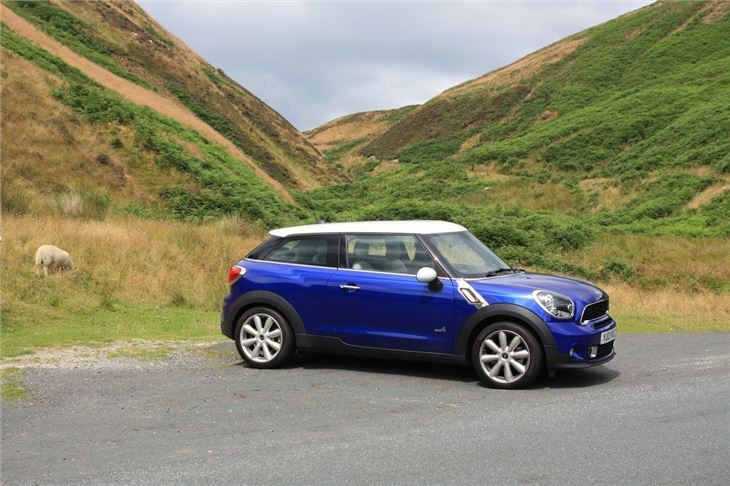 The top model in the range is a the Cooper SD ALL4 Paceman, and combines an all-wheel-drive system with the a 140PS version of the well-liked 2.0-litre BMW diesel engine. 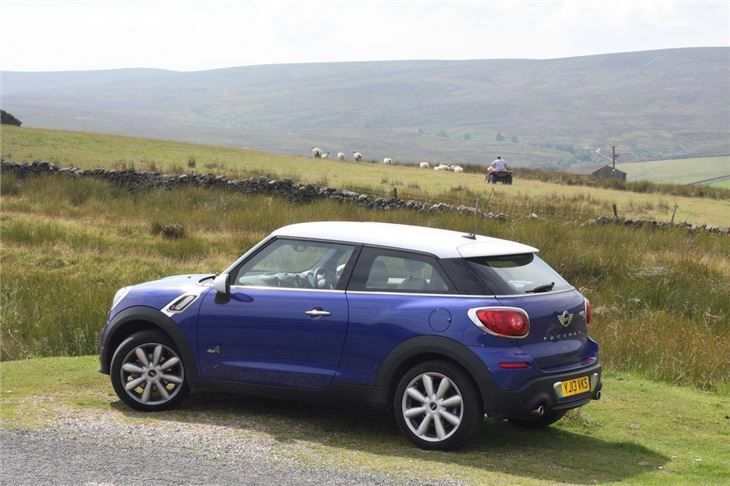 When first tested the Paceman at its launch, we concluded that it was a bit of an odd one, and wondered who it was actually aimed at. 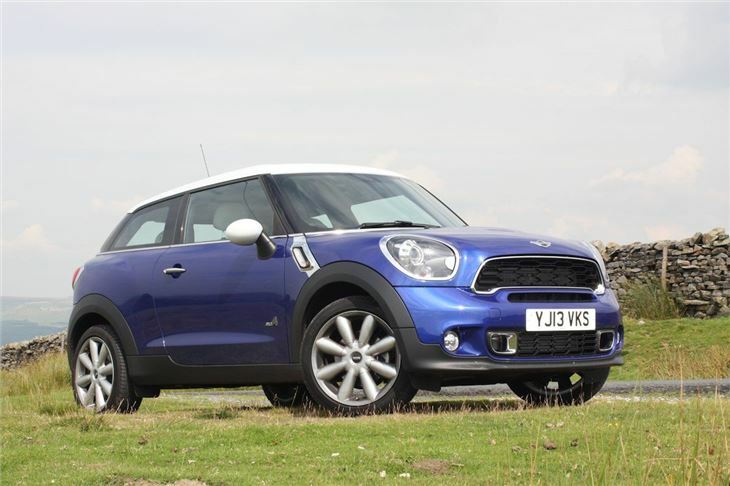 Its larger five-door Countryman sister seemed like the perfect vehicle for MINI owners with growing families - but in Paceman form, a lot of that practical advantage was lost. But it seems that dealers can't get enough Pacemans (Pacemen?) and they're also reporting that many customers are actually coming across from other manufacturers. 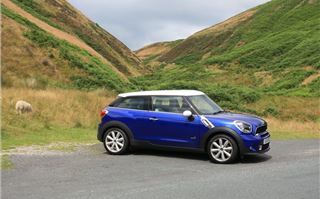 Either way, it's an interesting alternative to a three-door Audi A3 or Golf - but do its quirky MINI-like charms translate well into a larger car? It's billed as a Sports Activity Coupé by MINI, and on first glance, we'd struggle to come to terms with the 'coupe' part of that description. The low roofline says hatchback, not coupe, and the bulky almost-SUV style front-end doesn't really come across as sporting. We'd shy from calling it ugly, as most people have their own opinions about car styling, but one accusation you couldn't level at the Paceman is that it's derivative. 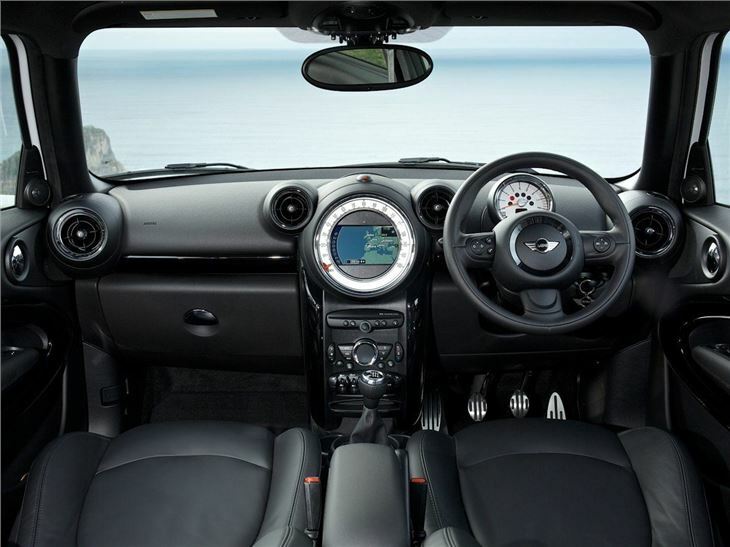 Inside, it's all very familiar if you're an existing MINI owner. 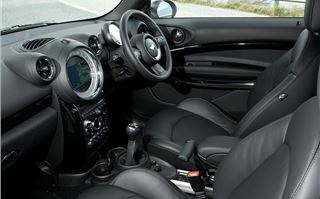 Many of the major controls, such as steering wheel, gearknob, instrumentation and climate control panel, and that reinforces the idea that a Paceman's main targeted buyer is someone who's grown out of a standard MINI. As with its smaller brother it's quirky and in some cases ergonomically questionable, and if all takes a little time to get used to for a newcomer. But once in and settled, you're soon able to appreciate the good driving position and excellent forward vibility. There's plenty of stowage space and large-lined door bins for your odds and ends, but the odd L-shaped handbrake was annoying, and didn't become less so during our extended test. The rear passengers get a pretty good ride, too. You're limited to a pair of individual seats, separated by a gadget rail (that we like), but this does mean that you're limiting your options. 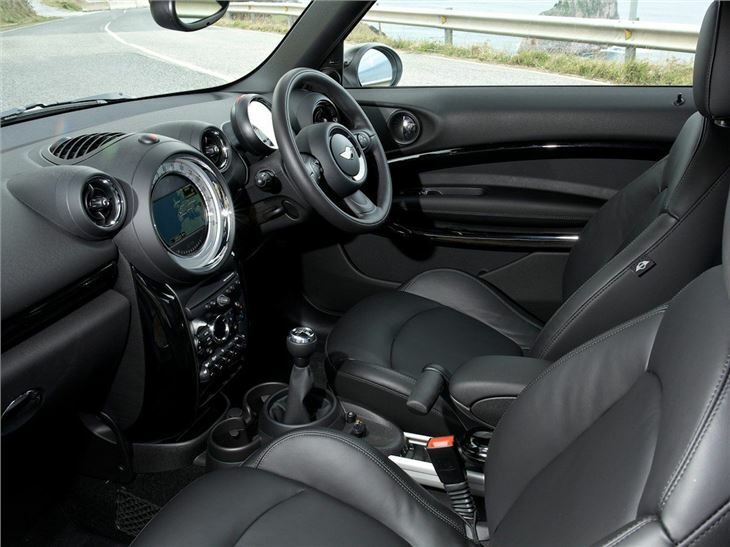 The rear seats which are individually shaped are comfortable to travel distance in, and even a six-footer will be tolerably comfortable in the rear if sat behind someone prepared to put their seat forward a little. 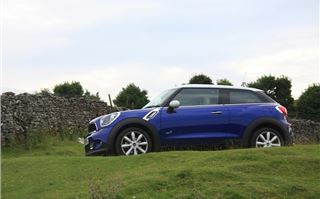 The sloping roofline does steal headroom, compared with the Countryman, but it's still roomy enough. 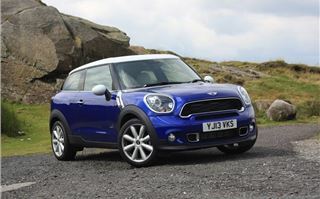 As for the boot, it's well-sized and roomy enough at 350 litres with the rear seats in place. 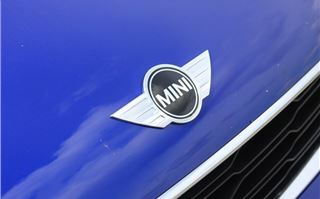 The diesel engine puts out 143PS and 305Nm, which is enough to give reasonable performance figures. 0-62mph takes 9.3 seconds and the maximum speed is 122mph, all very acceptable. But to us, it seems a little mis-badged, as the Cooper S name suggests it should be a pocket rocket, like its smaller, turbocharged petrol cousins. 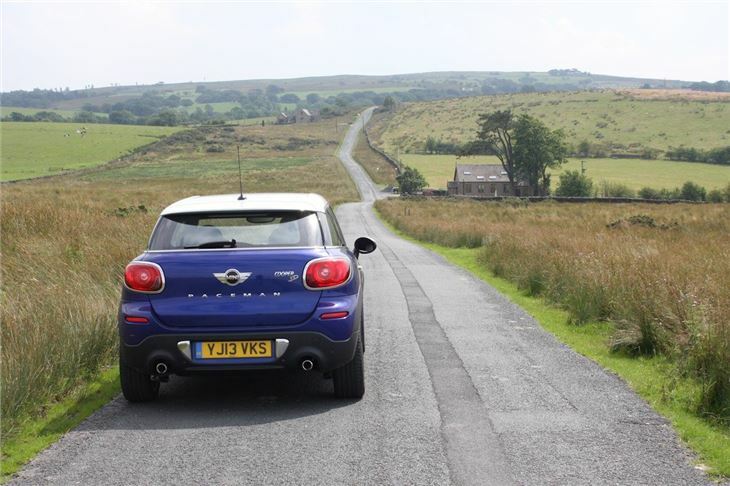 But don't let that disappointment put you off too much - if you want a faster Paceman, there's always the John Cooper Works version. 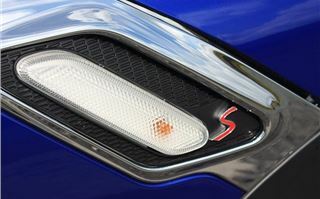 The best way of describing the Cooper SD is that it is quick and relaxed. Its power delivery is smooth, with no appreciable turbo-lag or on/off boost transition, and most of the time it's so hushed that your passengers will be unaware of just how hard - or gently - you're driving. On the motorway, it's refined and long-legged, but has a little too much wind noise. 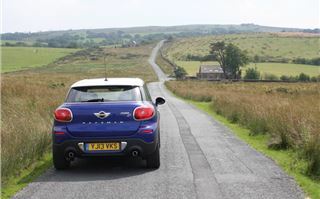 But it has that deliciously easy part-throttle response typical of a large-engined small car. In town, it pulls sweetly from rest, and the stop-start system is seamless, and there's a nicely engineered feel about the entire drivertrain, with all controls feeling nicely weighted and giving excellent feedback. 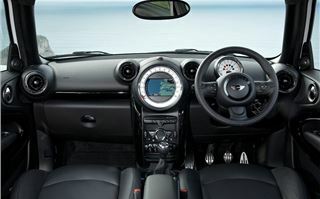 The Paceman's steering is responsive and quick, sharing its feel and gearing with the standard MINI. In corners, it turns keenly, but it does lean more than you'd expect, taking some of the fun out of the equation. 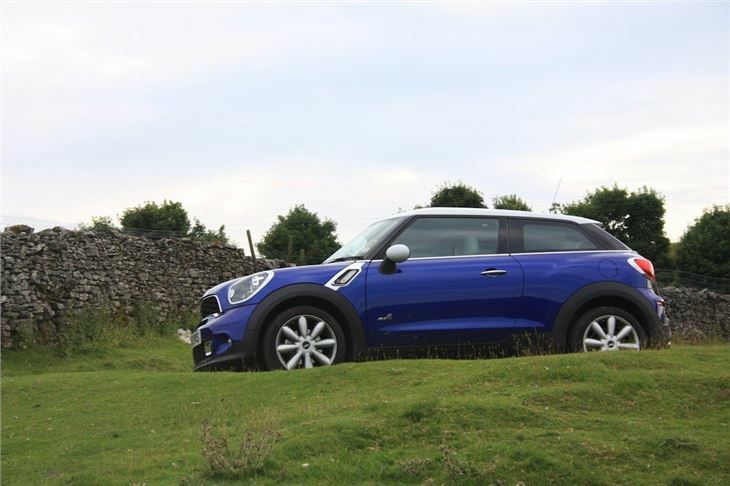 But in fast driving, it's very capable - with the four-wheel drive system giving some assistance to the rear wheels to aid traction in more slippery conditions. The 'Sport' button does make a difference, resulting in less roll and more responsiveness, and keen drivers will more than likely default to running in Sport all of the time. Ride quality is distinctly average, and although you can't complain about the damping, which is excellent, it can bump and bang over urban irregularities. The optional 18-inch alloy wheels probably don't help this situation - but then, it is marketed as a sporting car. Overall fuel consumption in the 10 days we had the car was a little less than 45mpg, which compares with the claimed combined 57.6mpg. As a real world figure, that's distinctly unimpressive considering the brilliance of sister cars such as the BMW 118d and 320Ed, so we'll put that down to the car being low on miles. 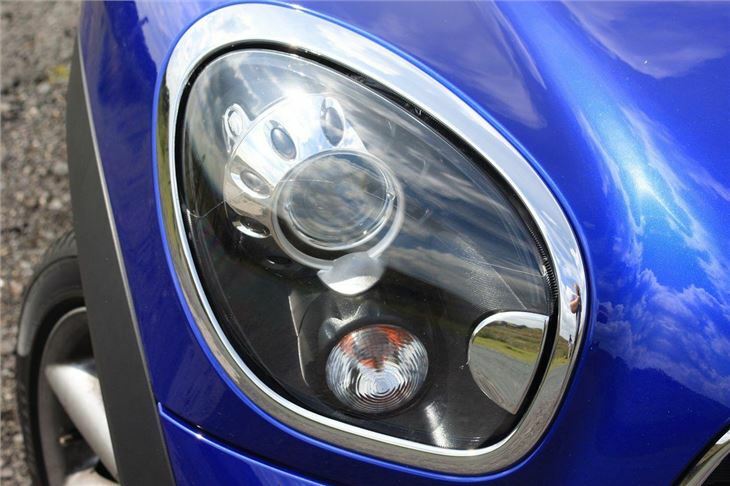 We hear that they really only loosen-up properly beyond 10,000 miles. Undoubtedly, the front-wheel drive car will be better in this department being 75kg lighter. 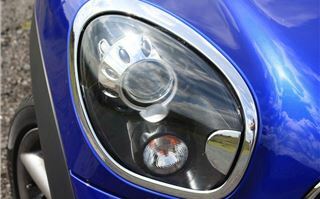 Overall, the Paceman is an interesting car, and one that we suspect will take time to fully understand. It's good to drive, reasonably fast, and handles well, and if you're thoughtful with the options list, it's not unreasonably priced. 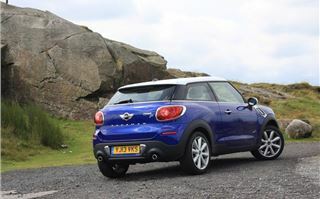 In growing up, the Paceman has lost a little of the smaller MINI's endearing cheekiness and snappy driving experience, but in getting sensible, it's avoided becoming too boring. Finding direct rivals is tough - and MINI probably prefers it this way - the Nissan Juke is cheaper and less special, while the entry-level Range Rover Evoque is considerably more expensive - and probably worth the premium. 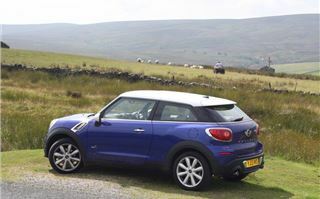 As for the Paceman, it has character and ability, and worth recommending, but suspect that the pick of the range is the 110PS 1.6-litre diesel - which is a brilliant little power unit that rarely feels like it's lacking compared with the 2.0-litre.